ANDREW MANGINO is the co-founder and president of The Future Project, a national initiative to revolutionize education by transforming schools into places where every young person can discover their passion and purpose and build the skills to change their lives and world for the better. Launched in 2011, The Future Project recruits, trains, and dispatches transformational leaders called Dream Directors into high schools. In partnership with teachers and community members, Dream Directors inspire and equip students to transform their schools from the inside out by building passion-driven Future Projects that change the world around them. 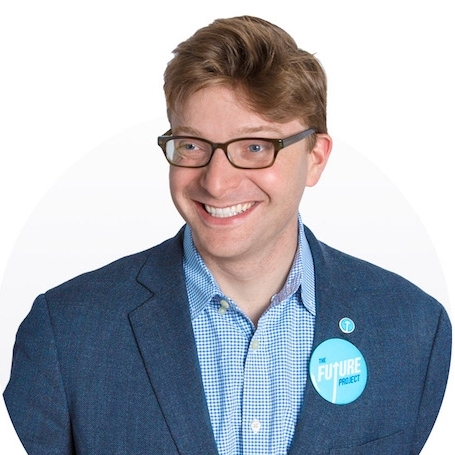 Named one of Forbes’ 30 Under 30 Social Entrepreneurs and a Draper Richards Kaplan Fellow, Andrew worked after college at Ashoka, where he helped launch Start Empathy, as the speechwriter for Attorney General Holder, and as a speechwriting intern to Vice President Biden. A graduate from Yale University, he covered the New Haven and education beats and served as the 130th editor in chief of the Yale Daily News, and won the Marshall Scholarship to study education and social innovation at Oxford.